There are two very simple ways of getting to Gili Trawangan. You can travel from Bali direct to Gili Trawangan by fast boat. Or you can fly from Bali to Lombok, then taxi or pick up then local boat from Bangsal or Speed boat across to Gili Trawangan. You can travel by speed boat, plane, helicopter or slow ferry. 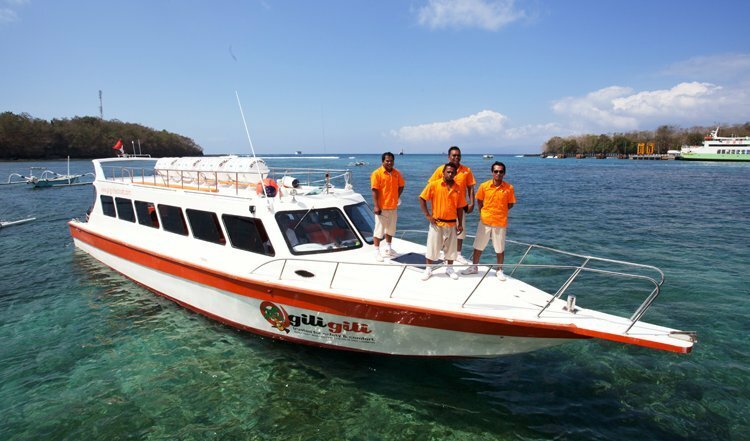 Below is a list of transportation to Gili Trawangan. For fast boats tickets from Bali or pick up from Lombok airport, select your option below. It is most common that people come by fast boat from Bali. We offer good prices on the return tickets when you buy them here online. By using a DISCOUNT PROMO CODE that we can give you via email you will get 20 USD DISCOUNT on your return tickets! All pick ups are done in the morning between 06.30 and 10.30 depending on pick up location and departure time. 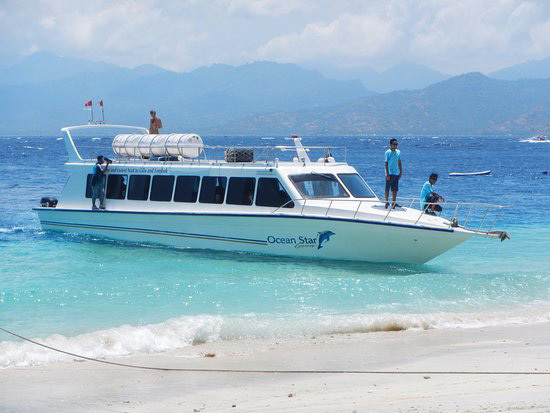 The fast boat service is a good, easy and cheap option of getting to and from Gili Trawangan. 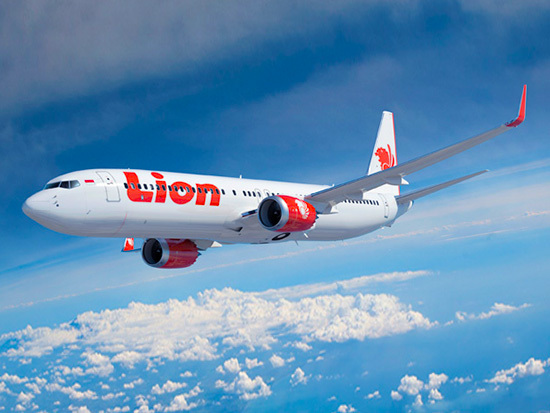 We can arrange flights from Bali, Jakarta or Makassar direct to Lombok. Air fair prices varies regarding of availability and season. Lombok has recently become an international airport so you can have a look at direct flights from Singapore and Kulah Lumpur. This is a hassle free option. Find your name on the sign. Your driver will welcome you and loads your luggage in his car. Mr. Taufik is a safe and friendly driver. He has got a nice new air-con car that he will drive you either the beach road or through monkey forest, up to you. At Mentigi bay the speed boat is waiting for you. A maximum of 10 min boat ride a cross to Gili Trawangan to enter the beach just in front of Gili Divers. From there you can either walk to Gili Mansion or take a Chidomo (Horse & Cart).